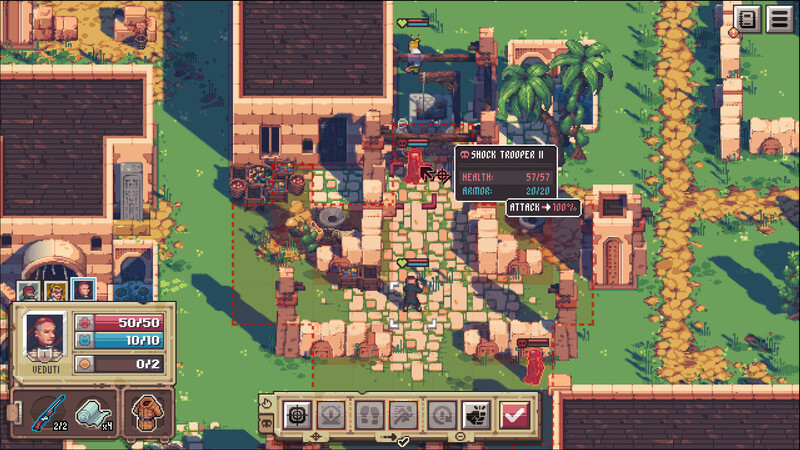 Pathwahy — Adventure RPG game in 16-bit retro style with role-playing elements and step-by-step battles in the setting of the Second World War. The plot focuses on the occult studies of the Third Reich and the search for ancient artifacts. 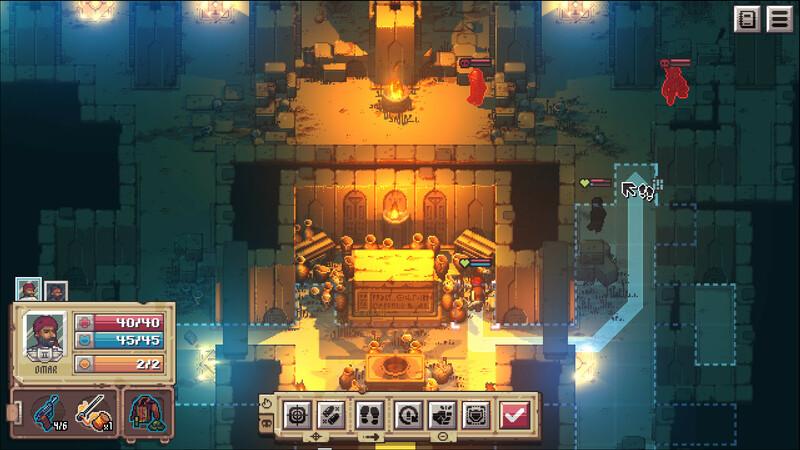 The game contains dynamic campaigns with procedurally generated locations; at the same time, all the story missions created by the developers themselves in advance. There is an opportunity to assemble your own team of different characters, each of which can be pumped. An exciting strategy game with turn-based battles made in 16-bit style. 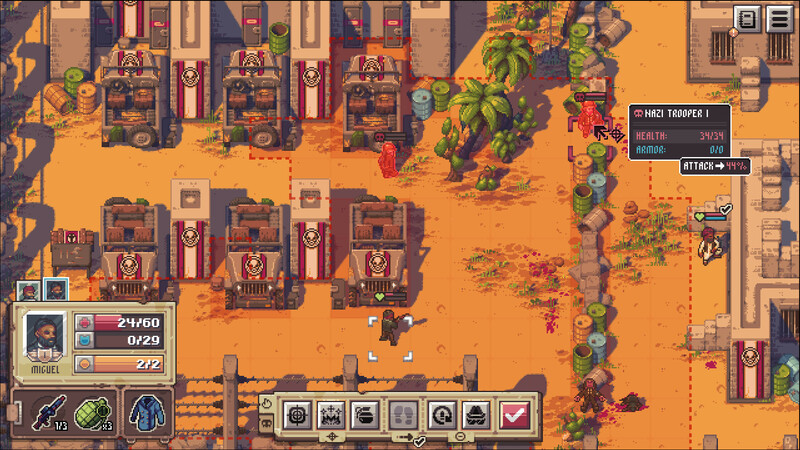 Get ready to explore the ancient temples, deal with powerful artifacts and fight the Nazis embittered by this world. The game takes place in 1936. At this time, the peak of unrest regarding the formation of military forces in Germany. In addition to training soldiers in the craft of war, rumors about excavation and carrying out terrible rituals called upon to invoke «something» capable of plunging countries into the country. You would have stayed away from the conflict, but you have to intervene after Morteza’s kidnap of his best friend after interfering with an occult ritual. No one knows where he is and what happens to him, so be prepared to go through the most insane adventures in your life. The developers have chosen an interesting way of plot development. It is formed according to the type of passage you select. Started looking for evidence in the well? Wait for the charges of deliberate poisoning of water. Rescued the inhabitants of the burning village? They will never forget this, so they do not mind repaying you secret information from the battlefield. Form a unique story and discover its facets with each passage. Download & install Update v1.0.3 / v1.0.5, in game folder. Copy the contents of the folder «PLAZA» in the folder with the game. This game has been updated 17-04-2019, 08:10 to the latest version v1.0.5. NOTE: Version 1.0.2 will reset your "Fullscreen" settings toggle and start the game in windowed mode instead. You can of course change this again in the options any time. This reset happens due to some people having problems with the game starting in fullscreen mode by default. - Adds the option to cycle through your team with the left/right arrow during battle. - Fix a crash that happened when you entered a battle after running out of fuel and having your team members die.